My husband and I have been going to Pizzeria Mozza since December 2006, soon after opening. We’ve tried all the pizzas and our favorite is the Gorgonzola dolce, fingerling potatoes, radicchio & rosemary. If you like seafood, a must try is the Mussels al forno with Calabrian sauce. 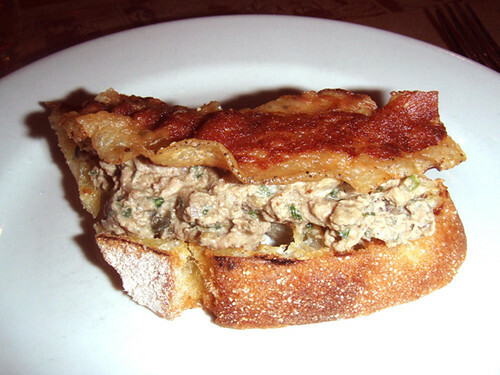 The one thing we HAVE to order each visit is the Bruschette with chicken livers, capers, parsley & guanciale. 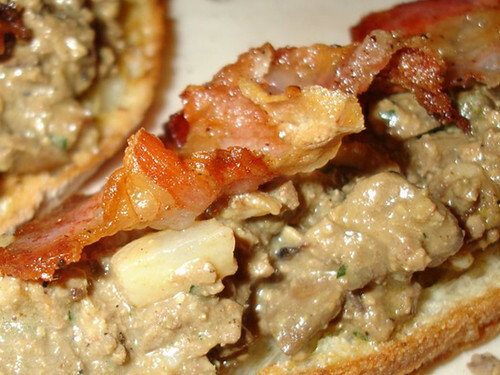 Your mouth will water when you taste the soft liver spread under the crispy bacon. It’s our favorite bite at Pizzeria Mozza! 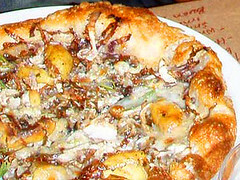 Our favorite Mozza pizza: Gorgonzola dolce, fingerling potatoes, radicchio & rosemary. 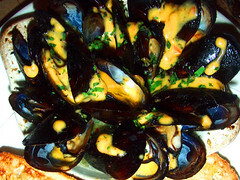 Mussels al forno with Calabrian sauce.